This is a free online Bible with related resources, focusing on the faiths of Christendom. 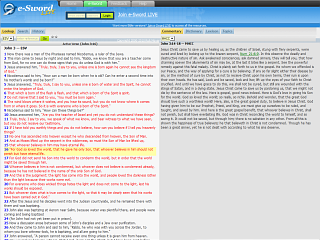 e-Sword is also available as a huge, downloadable software suite, with dozens of add-ons. Many are free, some aren't.